On this project HAG provided architectural design of 3,200 SF of the existing NMR building to provide for a new three (3) Tesla Magnetic Imaging suite. The original MRI unit was removed as well as the shielding. Extensive demolition and reconfiguration of the suite was required to meet the new program. The renovations provided for both a research magnet function as well as a clinical diagnostic suite. 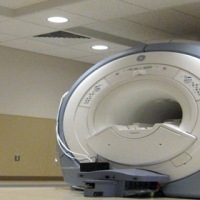 New MRI equipment, shielding and Mechanical systems were provided for. The work was phased to allow the facility to remain in operation during the renovations. ICRA measures were required to be incorporated into the project documents to allow all the phases to occur without causing the department operational difficulties. Complete construction documents and specifications will be developed as well as construction review services.